- Featured in the New & Noteworthy section of the Ansca Mobile showcase! AppShrink.com: "...a more challenging alternative to simple, mindless card games like solitaire." 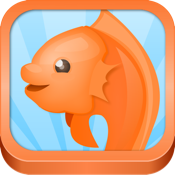 Kiki's Koi-Koi is a new iPhone/iPad app that lets you play the popular Japanese card game Koi-Koi. Never played before? No problem; Kiki will teach you...and you'll soon be hooked. Koi-Koi is a simple two-player card game played with the colourful Japanese cards known as Hanafuda. Match certain cards to make sets or call "Koi-Koi" and cross your fingers. A little strategy and a little luck; soon enough, you'll be saying "Koi-Koi".